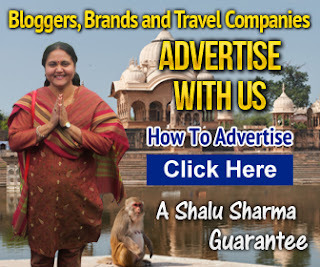 Are you are woman wanting to travel to India alone but didn’t know if you would be safe in India or not. Then this book is for you. This book tells you how to be safe in India. Unfortunately, there have been some unwanted incidences against women not just Indian women but also foreign travellers. This book covers all the issues a woman might face when travelling in India. Don’t worry; travelling along in India is not that risky. This book tells you what to do and what not to do. I have written this book as an Indian woman who understands India and someone who has done a lot of travelling of my own. I provide you information on how to survive India. This book covers all the safety issues a woman might need when travelling in India. 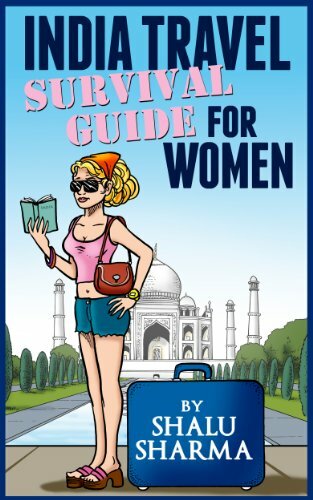 Find the India Travel Survival Guide For Women here. Hindi is the main language that is spoken in India. It is estimated that 65% of all Indians speak, write or understand Hindi. This means that most Indians other than the people of the states of Tamil Nadu and Kerala would be able to communicate with you in India. 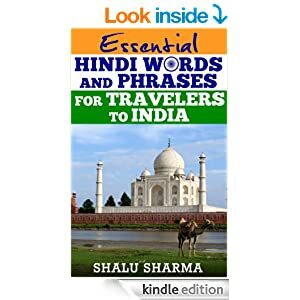 This book covers the most essential Hindi words, phrases and sentences for travellers (travelers in American). Although, English is one of the official languages of India and many people would be able converse in English but there is no harm in learning Hindi when travelling to India. This book also contains conversational Hindi a traveller is most like to encounter while in India. So take advantage of the low price and grab yourself the Essential Hindi Words And Phrases For Travelers To India. Have you ever wanted to make money from a travel blog? have you ever wanted to start a travel blog of your own but you didn’t know how? In fact, have you ever wanted to set up a travel blog but had no idea where and how to get started? The reality is that, it’s not that hard at all. Setting up a blog is not as difficult as it seems. However, there is a small learning curve but other than that, it’s not hard. And the good thing is that you can make money from it too. If I can do it, I am sure others can too. So I have solution for you, why not buy my book and start your own travel blog and make money from it. I have detailed all the tricks of the trade from setting up your travel blog, using social media to market your blog and making money from it. Buy, How To Start A Travel Blog And Make Money here. It’s available on all Amazon stores. This book has been written for children and parents in foreign countries who might want to learn about India. Non-Resident Indian parents would find this book valuable for teaching their children about India, its history, its culture and its people. In fact, the book covers everything a child would want to know about India. India is an ancient culture and children can learn a lot from this book. In addition, adults too will find this book interesting. Those travelling to India with children might consider buying this book. The book contains fascinating facts about India that both children and adults will find interesting. The book covers most of the important facts about India. The book is aimed at children who can read and understand from the ages of 7 onwards. Download, India for kids: Amazing facts about India book here. This book has been written for kids. But those considering taking a religious tour to India will also find the book useful. The book assumes no prior knowledge on Hinduism and therefore all ages will find the book useful. I am come from a family of priests and was taught Hinduism from a very young hence I believe that I am fully entitled to write this book. This book is presented in a question and answer format. Each question on Hinduism is answered in the appropriate way with with appropriate photos. For those taking a cultural or a religious tour to India will find it most useful. You can buy “Hinduism For Kids: Beliefs And Practices” here. This book covers everything that a traveller to India will need to know. I have covered every possible concerns that a foreign traveller faces while they are in India. For example, a woman traveller to India sometimes do not know what to wear hence there is a chapter for women that advices them what they should wear while they are in India – same goes for men too. There are chapters dealing with health, what to eat, hotel safety, how to deal with beggars and a range or other topics. Water is a major concern for many tourists in India.There are chapters on what to drink, what to avoid and also how to figure out if the water they are buying is genuine or not. There is chapter on some of the basic Hindi words, phrases and sentences that a traveller will need while in India. 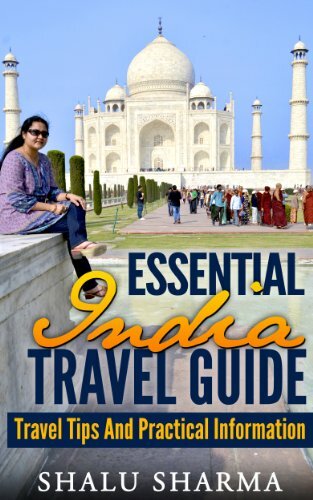 You can buy the book, “Essential India Travel Guide: Travel Tips And Practical Information” on Amazon. “Hindi Language For Kids And Beginners: Speak Hindi Instantly” is designed for those who are interested in learning the Hindi language. There are words, phrases and sentences in Hindi that is supposed to be most widely used in the Hindi language and this book makes it easy for those considering learning the Hindi Language. The book is designed mainly for children and beginners who have no Hindi background. The is outlined in a way that one can start learning the words and phrases instantly. The book covers basic words and phrases of Hindi, commonly used words, Hindi letters, colours in Hindi, eating words and phrases, words and phrases related to education, animals and birds, human organs and more. I have also included some conversational Hindi. The ebook version of this book is priced very competitively (around $1) hence there is no excuse not to buy this book. Travellers to India will also find it useful. Mahatma Gandhi is one of the most charismatic persons of the twentieth century. He has been the inspiration of many modern leaders such as Barack Obama, Nelson Mandela, Steve Biko, Aung San Suu Kyi and Martin Luther King. Sadly today’s children do not know much about the man. In fact, even many men and women do not know much the Mahatma. Therefore this ebook is designed for those who want to learn about Mahatma Gandhi quickly without going into too much detail about his philosophy. The book contains everything that a beginner and a child would want to learn about the man. I personally believe that Mahatma Gandhi’s philosophy and his ideas of non-violence (ahimsa) and satyagraha (power of truth) is still relevant and children can learn a lot from this man. So grab a copy of the “Mahatma Gandhi For Kids And Beginners” on Amazon. Again the ebook is priced only $1. Aryabhata (also spelled as Aryabhatta) was one of India’s most celebrated and famous mathematicians. In fact, one of India’s satellite is also named after him. He was not only a mathematician but also an astronomer. Although he was the one to first use the concept of zero, the credit has not been awarded to him.. But he has been credited for working out the value of Pi. Some of this other works include astronomical constants and the sine table, various mathematical formulas, the reckoning of time (movement of heavenly bodies) and much more. Sadly most of the work has not even been credited to this great man. Another issue about Aryabhata is that, not much is actually known about him for example we don’t know where he came from, if he was from South or North India, who his parents were and the fact that he died at the age of 30 and he was only 23 when he wrote Aryabhatiya. Buy the book on Amazon.